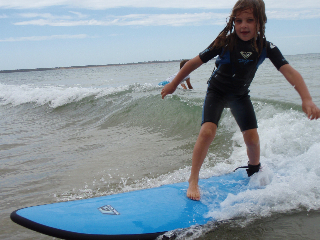 School of Surfing in Point Lonsdale operates surfing lessons throughout the year. All of our surf school instructors are qualified Surfing Australia surf coaches and have extensive competitive surf backgrounds. A basic surfing lesson runs for two hours. paddling and wave riding skill practice. 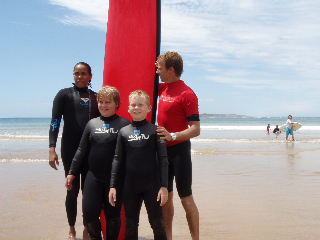 A lesson includes the provision of a soft surfboard for each student, Quiksilver and Roxy wetsuits, sunscreen, leg ropes and rash vests. 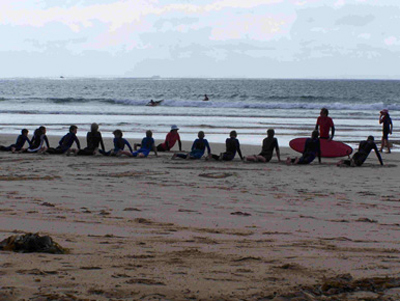 Please contact School of Surfing for general enquiries about surf lessons. Just looking for wetsuit hire or surfboard hire in Pt Lonsdale? We can help you with that too.